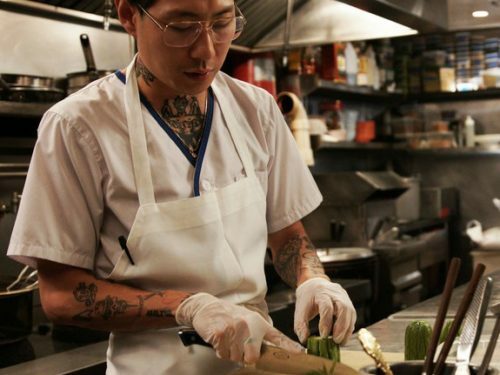 Danny Bowien is a James Beard award-winning chef and founder of Mission Chinese Food. With locations in San Francisco and New York City, the franchise has earned its place as a go-to destination for spicy Sichuan fusion that challenges fine dining traditions with its bold aesthetic and flavors. Danny’s eclectic taste in music, cutting edge fashion, and art is apparent in both his work and personal style, bringing flair and creativity to everything he does. 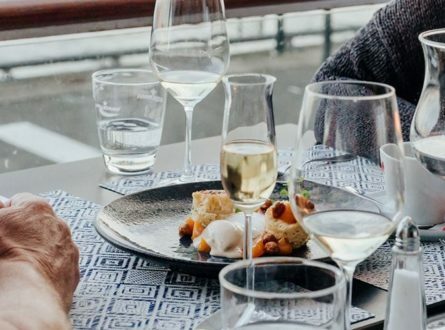 Constantly pushing the boundaries of cuisines from around the world, he competed in—and won —the World Pesto Championship in Genoa, Italy, adding to his impressive culinary repertoire. 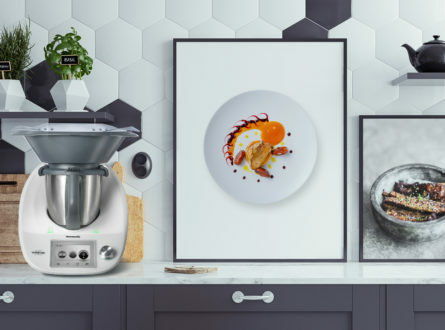 We sat down with Danny to learn about what fuels his passions, and how he incorporates the Thermomix® into his own cooking at home. I’ve always loved food, but didn’t realize I wanted to be a chef. I was a bit hesitant to dive in full force. I love cooking and everything, but it wasn’t a life plan as a kid. In fact, it wasn’t until I almost quit cooking back in San Francisco in 2010, right before I opened Mission Chinese Food, that it really hit me that this was my calling. The thought of not doing it anymore sort of pulled me back in, and even though there have been bumps along the way, I can’t imagine doing anything else. I think that’s true success. One Sparse—very minimal. Two—organized. Three—peaceful. You know, you don’t have people barking at you and all the chaos of the fast-paced restaurant world. The challenges that come with running a professional kitchen aren’t there, so my home kitchen is a calm, safe haven. I tend to cook really simply. I have a cast-iron pan that I use a lot and that’s it. I mean, it’s funny, chefs typically have really fancy gadgets at work, and then at home it’s like bare. I don’t even have a real chef’s knife in my apartment. It’s just some random cooking knife. But I do kind of splurge sometimes. Like I have this really nice, really heavy cast iron, carbon steel pan. But I use it for pretty much everything, so it ends up being worth it. I like making like broth—like soup—anything that doesn’t require using an oven. I don’t like using the oven at home. 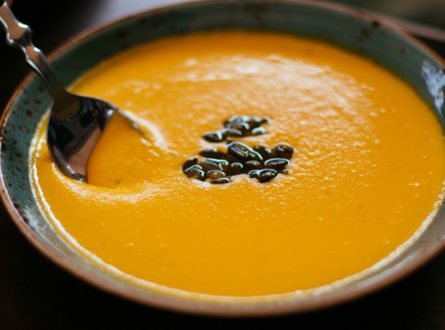 Can you describe the recipe and why it means so much to you? Broth is really restorative, and I just love making soup. I love the way broth perfumes the house, and there’s something very zen about making something out of scraps. [laughs] That’s a very chef-y thing to say. But there’s no real recipe. I just toss in the ingredients, and let them sort of just permeate and do the work. It’s almost like a form of meditation. It’s one of those things where even as a professional chef, I only know one or two people who have the Thermomix® in the states because it wasn’t available before. But I really love using it. I feel like I’ve only just scratched the surface as to what its potential can be, what it can do. Right now, I tend to like dry things a lot, like tangerine peels or fig leaves. And, I’m kind of into light powders that I can use to dust on certain things at the last moment to kind of add some nice aromatic finish. So, I’ve been using it for a lot of that— for blending something into a fine powder, which I usually couldn’t do, and wouldn’t be bothered to do before with a blender. That’s one of the things I’m currently using it for. And sauces. It’s really good for that—mixing well. It’s funny, but making something like mayo is the easiest thing. [laughs] That’s another very chef-y thing. I think the first time I saw a Thermomix®️, Iñaki Aizpitarte was using one. He’s the executive chef at Le Chateaubriand in Paris. I think I’d been doing some stuff with this cooking group, and there was like a request sent through because a lot of chefs were European, and they were coming over to do an event in the states. And I remember on the chain email they asked to send over a list of ingredients you need, or whatever, and almost every chef requested a Thermomix®. I just think it’s a piece of equipment that is something chefs actually use, whereas with a regular blender there’s just so many things. It’s very unique. There’s so many different types of gadgets out there, right? There’s always a new product coming out. But this is something that chefs really use and that chefs actually get really excited about it. And there aren’t a lot of things like that. Chefs tend to be picky. It has so many capabilities that you can go really deep and really engage it. I don’t even think I’ve scratched the surface of what it can do. It’s so useful in so many ways. It’s definitely not going to sit around. As a kid growing up, my mom and dad would buy lots of products and just not use them. It’s definitely a part of our work kit at my restaurants. It’s something that we’re using. We’re utilizing it every day, multiple times a day. It really grounds me to cook. A long time ago, one of my friends said that in his own life, if things seem off, cooking is something that always brings him back. It’s very grounding. I feel like at home—and usually it’s for my son—there’s just something about it that calms me. I’m a reactive person, so it’s really nice to have that. It’s very personal. But for me, cooking is also with the intent to share. So there’s a closeness, a human intimacy that you get with it, too. Cooking at home for people I love really grounds me. It centers me. Are there other gadgets, kitchenware, or kitchen/cooking essentials you regularly use at home? What are they? I feel like when I was younger, when I first started thinking about cooking, I wanted to have a lot of different things in my kitchen, and wanted lots and lots and lots of stuff. Even like knives—I would have a different knife for every different task. Then I realized after a while, you only really need one knife, and you just need to learn to use it really well. And you could pretty much use it for almost anything. And I feel like that’s how I approach my kitchen— a good pan, a sharp knife, a piece of equipment like the Thermomix®—something that’s going to be able to do something you can’t do with your hands. This is definitely a piece of equipment where technology is extremely helpful in the kitchen. Because you just can’t simply mince something to the finest powder. And it also eliminates things you no longer need. Like, I don’t have a scale anymore. I don’t have to have a lot of things. It’s kind of an all-in-one thing. But aside from that, I think that all you really need is just a sharp knife and a good pan. That’s all I like to use. Because as a chef, again, I feel like it’s a very comforting thing, not having to use my oven all the time. It’s like what can I utilize simply—what can I do? Cause I’d spend a lot of time before making such crazy, elaborate meals, I wouldn’t have time to actually enjoy my food or my company. So I think simplicity is best. Any other tidbits for Thermomix®️ readers? I just like that people are coming into the idea of what this piece of equipment is. But they shouldn’t feel overwhelmed. I’ve known about it and been using it for like 13 years—a long time —and I’m still just getting familiar with all it can do. I’m so happy it’s been released in the states. It’s been around for a while, but I’m so happy to get my hands on it and to really work with the technology. I love it. With cooking, you never stop learning. There’s always more to learn. There’s always more to do, and the Thermomix® makes it a lot easier and a lot more fun.